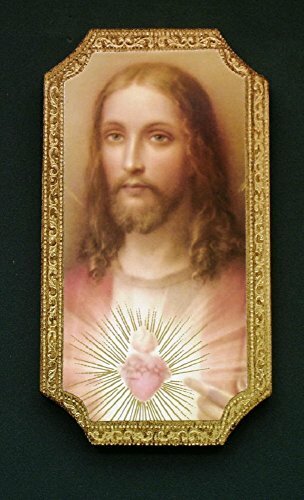 Sacred Heart of Jesus Florentine Plaque, 4.75 x 9 inches. Made in Italy. Innocence by Bouguereau Florentine Plaque, 5 x 9 inches. Made in Italy. Madonna and Child enthroned Florentine plaque, 5x9 inches. Made in Italy.